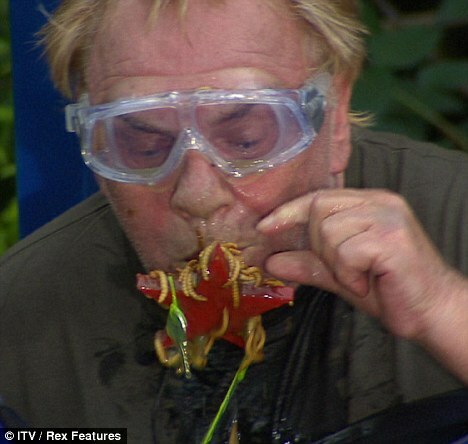 Comedian Freddie Starr has been taken to hospital after suffering a severe allergic reaction during his stint on I’m a celebrity….Get me out of here. He will be kept in over night to be closely observed, and to run tests to try demand establish the root of the reaction. Freddie started to feel sick and unwell after the Greasy Spoon bush tucker trial and doctors were immediately called to assess the 68-year-old condition. “The reaction could be due to a spider bite, he might have reacted badly to a leech or a tic, or even a snake he hadn’t noticed.”…..he could have reacted to tree bark or even a leaf….”it’s highly unlikely the reaction is from a bug Freddie had eaten, during his bush tucker trial, but nothing is being ruled out. Freddie is said to be in good spirits, and keeping the nurses entertained. No news yet if Starr will return to the jungle.